Jantienne van der Meij-Kranendonk is Liaison for WaterCampus Leeuwarden (Wetsus, Water Alliance and Centre of Expertise Watertechnology), based in The Hague. Where she builds and maintains a network with Dutch government (from local to national) and Water related organizations. She represents Water Alliance in the TKI (Topconsortium for Knowledge & Innovation) Watertechnology, and scouts for new strategic opportunities. She previously worked as Advisor International Programmes at the EU Research Funding and International Programmes team at the Valorization Centre of Delft University of Technology in the Netherlands. This team is responsible for strategic and proposal support to TU Delft researchers on EU H2020 calls as well as the continuous dialogue with EU politicians and policy makers on Research and Innovation. Earlier she served as Advisor for Innovation, Technology and Science at the Embassy of the Kingdom of the Netherlands in Washington, DC. Where she stimulated technological cooperation, build and maintained a Science & Technology network in the Netherlands, the United States of America and Canada in the field of water technology, circular economy and renewable energy. Before that she served as Program coordinator and Advisor at the Ministry of Economic Affairs – Netherlands Enterprise Agency and was responsible for a water and a renewable energy subsidy program. Jantienne is a graduate of the University of Amsterdam, where she received a Master in Medical Biology and a Master in Science, Technology & Public Management. Five representatives of technology innovation accelerators/programs will tell you how they help start-ups and innovations within their program, to bring their technology faster to the market. You will hear a couple of their success stories (cases) and lessons learned, and how you can work with them when you are interested to bring your technology to the USA, Israel, the Netherlands or Singapore. Yossi has 19 years’ experience in the water industry. 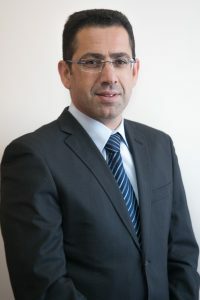 He started his career as a marketing director and project manager at EMS Mekorot Projects, a subsidiary of Mekorot, the national water company, and has acquired extensive experience in water and wastewater treatment, desalination, pumping equipment, pipe works, water supply systems through engineering and sales. In January 2010, Yossi joined Mekorot as Director of its WaTech® Division. WaTech® – the Entrepreneurship & Partnership Center for Water Technologies – is a unique program that supports new innovative water technology solutions which are relevant to the day-to-day functioning of Mekorot. In addition, Yossi has headed innovative ventures in the water industry with start-up companies in Israel and abroad. He is in charge of the applied research in the company, which includes activities with the academia and research institutes in Israel and abroad including the EU. Furthermore, he is responsible for promoting the field of intellectual property. Stubbs is a recognized leader in building stronger, innovative, and more resilient economies and communities. Since April of 2014 he has led the Cleveland Water Alliance from a nascent state into an internationally recognized water innovation cluster of corporations, universities, research institutions, public agencies, and utilities dedicated to the expansion of the Great Lake’s water innovation ecosystem, or “blue economy”: an emergent economic sector dedicated to the sustainable stewardship of bodies of freshwater around the globe through innovation. In that role Stubbs has launched a series of innovation challenges (ErieHack and Internet of H2O), partnered on creating a sustainable harmful algal bloom warning system with NOAA, and launched the Smart Lake Erie program (instrumentation and monitoring of Lake Erie at scale). Stubbs chair’s the North America Water Innovation Cluster Leaders program with WEF/LIFT, along with overseeing CWA programming with US Ignite’s Smart and Connected Cities Water program. Before joining CWA Stubbs led technology based economic development projects in Chicago and Cleveland, including as managing director of the Oberlin Project where, as the Managing Director, he worked to pilot a model to grow a local economy while radically reducing greenhouse gas emissions through new technology and collaborative partnerships. Stubbs earned a BA from the University of Kansas, a MBA from the University of Illinois and an Executive MBA/MPA from the Presidio School of Management in San Francisco. Marco de Graaff is biologist from origin with a PhD in water technology obtained at Wetsus and Wageningen University. The last 5 years he is committed to talent development and co-coordinates the business educational programs at the WaterCampus. 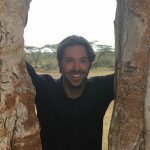 Besides his work at the WaterCampus, he is project coordinator for the Aqua Nirvana Foundation that aims to provide safe drinking water in Kenyan communities. 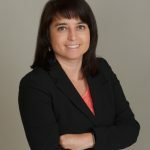 Dr. Marcia R. Silva has more than 20 years of industrial and academic experience, has authored several journal papers and book chapters, and has presented her work at national and international conferences. Dr. Silva currently holds an Assoc. Scientist position and Director with the UWM Water Technology Accelerator (WaTA). Dr. Silva also holds an Adj. Professor position with the UWM School of Freshwater Sciences and UWM CEAS Materials Science and Engineering, Industrial and Manufacturing Engineering and Electrical Engineering and Computer Sciences. Since 2013, Dr. Silva took on the huge task of creating the water research facility associated with the rise of the Global Water Center in Milwaukee. She has been instrumental in the success of the research arm for the Global Water Council and have impacted the research reputations of UWM’s School of Freshwater Sciences and College of Engineering & Applied Science. She has received the UWM Graduate of the Last Decade Award for this achievement in 2017. She has also received the Water Warrior Award in 2018 for her outstanding leadership, innovation and dedication to Milwaukee’s water industry. Through her science, she has mentored over 70 researchers to date, including post docs, graduate and undergraduate students, from Engineering, Freshwater Sciences, Chemistry, Biology, Conservation & Environmental Science and Business. As the Director of WaTA, Dr. Silva is responsible for Research Promotion, Facility Management and Research and Teaching. Dr. Silva’s most recent research lies in the applications of modified natural and synthetic materials for environmental contaminant removal and development of sensors for environmental applications. Dr. Chakravarthy Gudipati is currently the Technical Director of the START Centre. 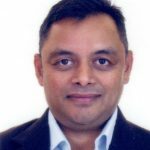 Prior to this assignment, Dr. Chakra has worked in several companies at different levels of R&D including product development and commercialization. He obtained his Ph.D in Polymer Chemistry from Washington University in Saint Louis (USA) followed by a post-doctoral fellowship at University of New South Wales, Sydney (Australia). His career of over 10 years spans research Institutes such as Institute of Materials Research & Engineering (Singapore) and Water Industry including GE Water & Process Technologies, Evoqua Water Technologies and Fontus Water Pte Ltd. His expertise and experience has been in the field of polymeric membrane development for UF, NF, RO, and Electrodialysis applications. Prior to his assignment as the Technical Director at START, he was heading the technology and business development platforms at Fontus Water Pte Ltd, as their CTO, working towards development, frugalization and commercialization of specific innovative technologies. Four representatives of technology innovation accelerators/programs will tell you how they help start-ups and innovations within their program, to bring their technology faster to the market. You will hear a couple of their success stories (cases) and lessons learned, and how you can work with them when you are interested to bring your technology to the USA, Israel or the Netherlands. Innovation programs (fundamental and applied) and access to know-how. A specialist network of 200 companies, 30 research institutes and various policy makers. Within the 3 day Business Development course (BDC), students and (PhD) researchers are challenged to turn their innovative ideas into business. Participants to the BDC have in general no previous experience with business and will gain their first set of entrepreneurial tools. Inspiration and education are the most important ingredients. Diverse experimental sites; the extensive use of sites for performing research in the alpha and beta stages. Cooperation in planning; assist in building an organized experimental plan to examine a novel technology, develop the product, and select its most correct application. Business development; assistance in gaining access to global markets, capital and strategic partners. Funding: partial assistance in funding a trial. The WEF-LIFT Water Technology Innovation Cluster NA focus group is a nationwide network of Water Technology Innovation Clusters, which were originally developed by the U.S. Environmental Protection Agency (EPA). The clusters program is run as a LIFT focus group led by Bryan Stubbs, executive director of the Cleveland Water Alliance. Water Technology Innovation Clusters are regional groupings of businesses, government, research institutions, and other organizations focused on innovative technologies to provide clean and reliable water. WEF will facilitate cluster communications, advise cluster organizations, enable collaboration among clusters, and identify water programs that support cluster activities. Clusters have a key role to play in addressing the nation’s pressing water issues. Streamline the adoption of new technologies. Clusters provide companies with easier access to test beds and partners for pilot studies and encourage communication among companies and regulators.